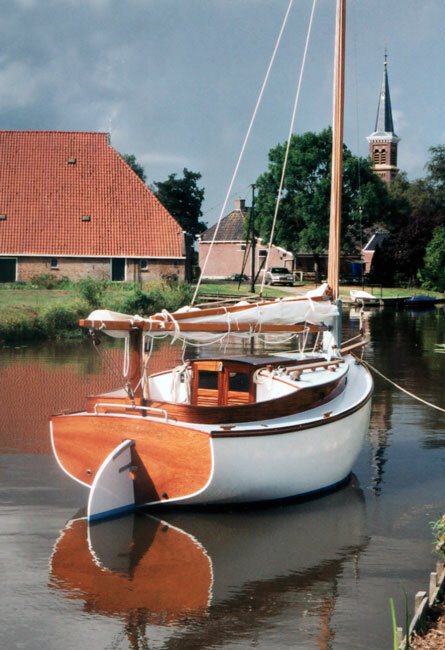 Jaap Kraayenhof of Groningen, Holland, took seven years to build this 16′ catboat. 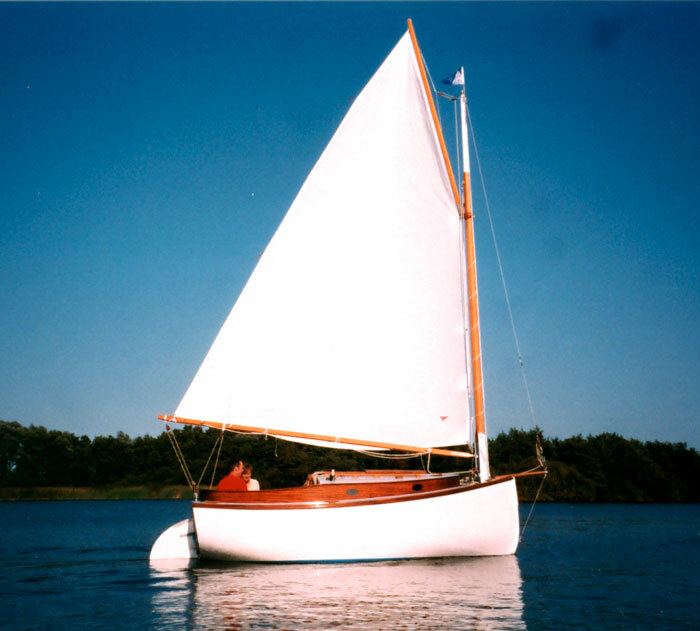 He says he spent most of the time reading WoodenBoat magazine, and considers WB to be his boatbuilding training. The boat is built entirely of recycled wood. The hull is built of strip-planked redwood from a gymnasium. The inner keel, stem, and floors are of iroko plywood from laboratory tables at a nearby university hospital. 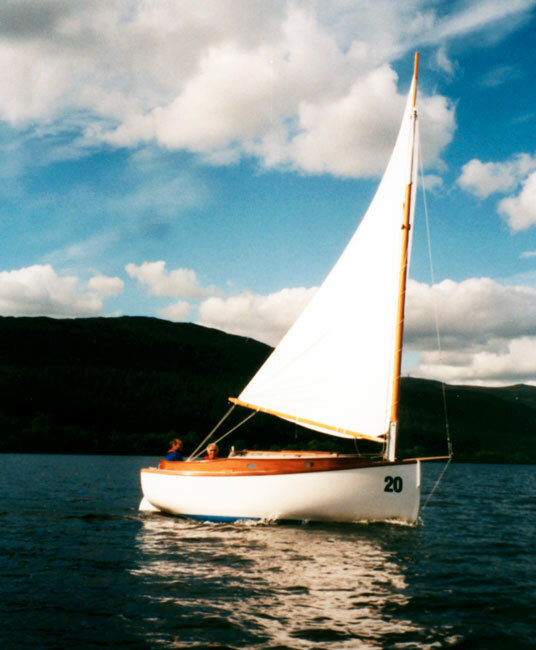 The skeg and keel are made from merbau, also from a hospital. Mahogany in the interior came from church pews of a demolished church. And finally, the spars of Douglas fir were leftover parts from a laddermaking factory. Lyle Hess designed the boat.